App quits unexpectedly when using your iPhone or iPad? Read on this short tutorial to find out a general troubleshooting. Download this award-winning application so that you can make use of it after reading this Why My iPhone Apps Unexpectedly Closed guide. Are you having troubles with some apps that used to quit suddenly on your iPhone, iPod touch and iPad. After unexpectedly closed, these naughty apps will repeatedly return you to the device's Home screen. Apple has explained that the primary cause for apps closing unexpectedly is a device running low on memory allocated for applications (this problem has been largely alleviated after introducing A4 processor). According to a Cnet article, the problem has nothing to do with how much data is stored on the device, since that memory is allocated separately. The device is simply running too many memory-intensive tasks, thus consuming all the available application memory. Anyway, if you have met this problem and want to seek a solution, then please follow below troubleshooting. 2. Check if there is new version is available for that app. 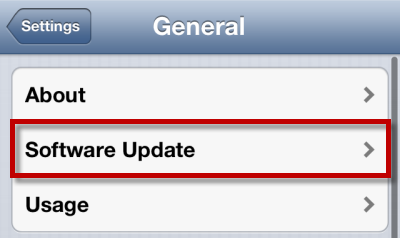 Or backup it to computer first (learn how-to), and reinstall it on your idevice to see if the problem persists. 3. If you have multiple problematic apps at the same time, then you'd better consider a resetting for your device.